Do you know WWII veteran Richard Silagy or his family? Silagy lived in the city of Cleveland in the US state of Ohio, sometime after World War II and hid a time capsule filled with personal items in his home. The time capsule was recently discovered by a housing contractor doing improvements on the house, but a search online for Silagy or any living relatives has been a failure. The contractor is now turning to the public for help. 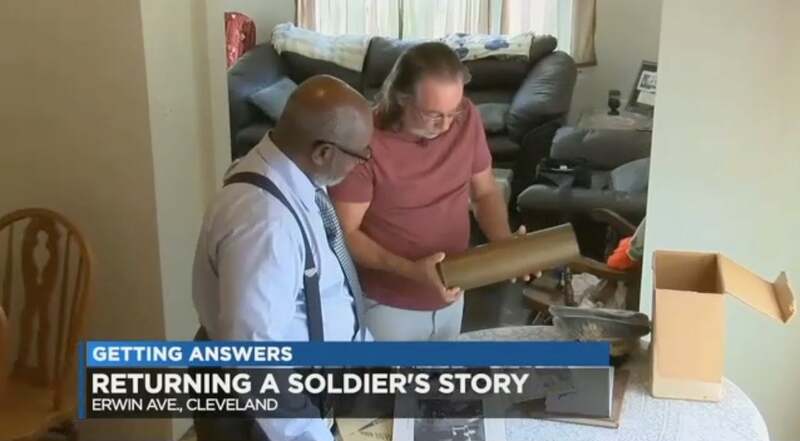 The time capsule was discovered underneath stairs in the basement of the house, and includes photos, school yearbooks, his hat from World War II, and even a munitions shell dated 1944 that looks like it was fired.